Constellation Brands has bought a 9.9% stake in Canopy Growth. An employee looks at flowering medical marijuana plants at Canopy Growth's operation in Smiths Falls, Ont., Dec. 5, 2016. Alcohol giant Constellation Brands has bought a 9.9-per-cent stake in Canopy Growth. SMITH FALLS, Ont. — Constellation Brands has signed a deal to acquire a nearly 10 per cent stake in Canadian marijuana company Canopy Growth Corp. for $245 million. The companies said Monday the agreement will see Constellation provide marketing and brand development support to Canopy. They will also collaborate in the development of cannabis-based drinks. Constellation Brands bills itself as the third-largest beer company in the U.S., "with high-end, iconic imported brands such as Corona Extra, Corona Light, Modelo Especial, Modelo Negra and Pacifico." It also sells numerous wine and spirit brands. Constellation said the deal is part of its strategy to stay ahead of evolving consumer trends and market dynamics, while maintaining focus on its core beverage alcohol business. "Canopy Growth has a seasoned leadership team that understands the legal, regulatory and economic landscape for an emerging market that is predicted to become a significant consumer category in the future," said Constellation chief executive Rob Sands. Constellation added that it has no plans to sell any cannabis products in the U.S. or any other market unless or until it is legally permissible to do so at all government levels. Canopy said the deal gives it a strategic ally. 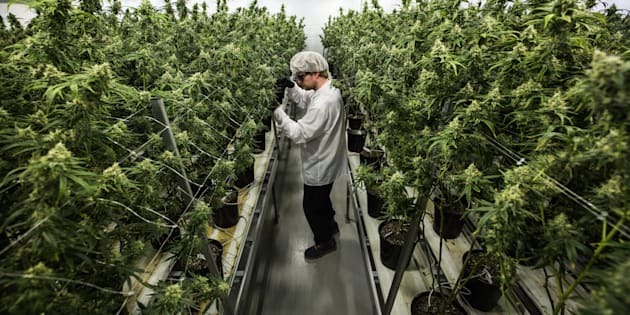 "We have also strengthened our balance sheet to fund the ambitious expansion efforts we have planned heading into 2018 – a year that will see unprecedented growth in medical and adult-use opportunities," Canopy chairman and chief executive Bruce Linton said. Under the deal, Constellation will buy a 9.9 per cent stake or nearly a 18.9 million shares in Canopy for $12.9783 per share. It will also acquire an equal number of common share purchase warrants for Canopy. Canopy shares fell 16 cents to close at $12.79 on the Toronto Stock Exchange on Friday.